Have yet to rate this build but the Edge browser is really fast. I do not think my machine will be able to run W10. I really am tired of trying to get the graphic driver to work. Something is wrong with the compatibility with W10 and the NVidia graphics driver, whether this a windows issue or an NVidia issue remains to be seen. This is what is happening when Device Driver Install is disabled under the Hardware Tab. 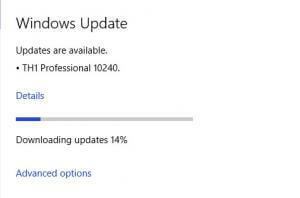 W10 is caught in a cycle of downloading and installing the device driver. This is the only way I can get Build 10240 to work without having the Graphics Driver crashing. 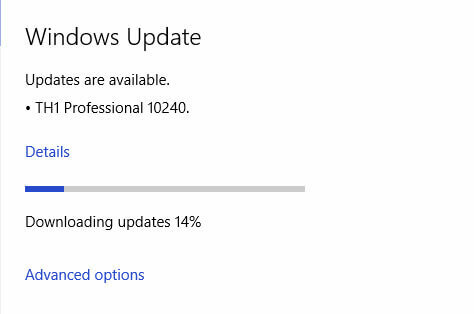 The only reason this is working is with KB3073930 wushowhide update. Any attempt to install the NVidia graphics driver will result in the display adapter crashing. If this is the RTM Build then I question whether it is ready to be installed on all PC's.